Serbia And Poland: Alt-Media’s Biggest Reversal? Governments don’t always represent the people, and nowhere is this clearer nowadays than in Serbia. Pro-Western Prime Minister-turned-President Alexander Vucic just appointed an openly gay Croatian woman and former USAID employee, Ana Brnabic, to run the government, pending her expected confirmation by parliament next week. This completely contradicts the conservative values-based and multipolar identity that the majority of Serbs adhere to. In an of itself, Brnabic’s ethnicity, gender, and sexual identity are her personal affairs, with only her political views and work history being most directly relevant to the majority of Serbs due to her proposed leadership position, but nevertheless, the ‘full package’ is concerning to many because of what it represents. Disregarding the dogma of “political correctness”, the fact is that Brnabic’s nomination shocked many Serbs because of how radical it is in the symbolic – and possibly soon, substantial – sense. Some people fear that the alignment of her sexual identity, work history, and political views with the preferences of the ruling EU elite (her gender and ethnicity aren’t an issue to the average person) will lead to the accelerated imposition of neoliberal “values” on Serbia, thereby completing the post-communist transformation of the country into the West’s archetype vassal state. In addition, Serbia has rightly been regarded for a long time as the center of gravity in the region, and Vucic’s nomination of Brnabic as Prime Minister sends the very strong message that she’s the sort of politician who Brussels wants to rule over the rest of the Balkans. What’s taking place in Serbia is nothing short of tragic from the perspective of the country’s conservatives, though interestingly enough, individuals of the said ideological-value predisposition are experiencing an unexpected renaissance of sorts in Poland, of all countries. The Law and Justice Party, popularly known by its abbreviation PiS, swept to power in late-2015 in an unprecedented parliamentary landslide and gained full control of the country. The new government swiftly moved to emulate Hungarian Prime Minister’s conservative agenda, which instantly prompted the country’s identity crisis to go international after the emergence of large-scale pro-EU protests and Western liberal condemnation. In defense of PiS, the new government is simply implementing the forgotten will of the people, the very same socio-economic and cultural populism which had been trampled upon by former premier and current EU Council President Donald Tusk’s pro-Brussels Civil Platform (PO) party. It’s very curious that Poland has risen as a conservative icon in Europe given its historical tutelage as a pro-American military proxy in Eastern Europe, but this just goes to prove how suddenly things are changing in the world. At the time of the party’s reentrance into power, it stood in stark opposition to the Obama-led neoliberal transatlantic order, though following Trump’s inauguration, Warsaw is more in tune with Washington’s socio-cultural wavelength. Poland’s post-communist governments, and especially PiS, have always been heavily in favor of limitless NATO involvement in the country, so that’s certainly a point of variance with most people in the Alt-Media Community. Even so, Warsaw’s tremendous progress in restoring traditional religious-based values, promoting a mild form of economic populism, and resisting the existential transformation of the state via the uncontrollable influx of civilizationally dissimilar “Weapons of Mass Migration” throughout the Immigrant Crisis has earned it loud praise in the very same Alt-Media circles. As for Serbia, the situation is somewhat different. 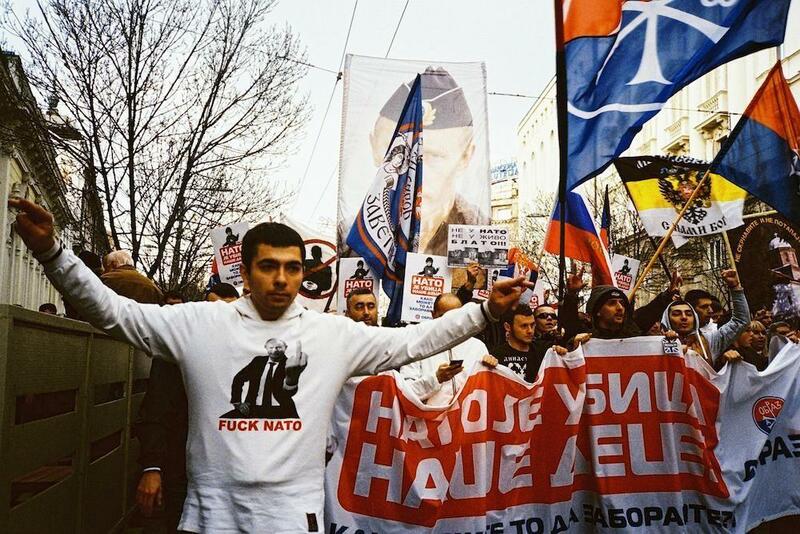 Genuine anti-imperialists all across the world laud the country for its proud history of resisting external dominance and fighting against all odds, and they generally saw Serbia as a pillar of Orthodox values in spite of its pro-Western government. While the wholehearted respect for Serbia’s history and people still remains, their support of the nation’s government has seriously eroded over the past couple of years, with Vucic’s nomination of Brnabic being the last straw. While it can be said that Serbia isn’t a NATO member like Poland is, and certainly isn’t anywhere near as Russophobic, it shouldn’t be overlooked that Belgrade agreed to a controversial Status Of Forces Agreement (SOFA) with the bloc in 2016 which allows for the free movement of troops and vehicles through the country, among other unilateral concessions. Therefore, while Serbia is legally a militarily neutral country, it’s in fact moved to more closely associate itself with NATO. The difference between Poland and Serbia’s NATO relationships is obvious – Warsaw is much more important for Washington’s military strategies vis-à-vis Moscow because it can more directly threaten Russia’s national security, while Belgrade is nowhere near as significant in this regard because no direct (key word) Russian interests are threatened by SOFA. Moreover, the scale of cooperation is qualitatively different, since Poland is NATO’s frontline launching pad in Eastern Europe and is hosting part of the so-called “missile defense shield’, while Serbia has no such relationship to NATO and could only realistically function at this point as a highway between Croatia & Hungary to Albania & Greece (potentially even the Republic of Macedonia if its de-facto coup government joins the bloc in the coming year or two). Therefore, if one evaluates Poland and Serbia back-to-back, then Belgrade is infinitely more attractive than Warsaw if NATO cooperation is the only form of criteria. Nonetheless, other factors of comparison are certainly in play because socio-cultural principles are now becoming just as important as military posturing to many people, which holds the potential of reversing the status of Poland and Serbia in the Alt-Media Community when it comes to how others assess their governments. In that case, Poland’s authorities are much more appealing than Serbia’s in light of PiS’ defense of traditional socio-cultural values and Vucic’s undeclared opposition to them. Neither country is friendly to civilizationally dissimilar illegal immigrants, but Serbia has been pressured into the position of becoming a temporary “parking lot” for some of them, whereas Poland ardently refused to accept even a single one and is now being sanctioned by Brussels because of it. However, it must be said that the Polish authorities have no qualms about irresponsibly facilitating the massive migration of Ukrainians to their country, which in spite of this group’s civilizational similarity could still pose a looming and very dangerous threat in the long run. Apart from that, another point of contrast between the two states is that everyone took for granted that Poland’s government will always be pro-Western, which is why it came as a pleasant surprise that its new authorities clashed with Obama and Merkel, although they do admittedly have a lot in common with Trump nowadays. From the other side, it was a disappointment to many that Serbia’s government kowtowed to the West as quislings in spite of their proud national history of resistance, and Brnabic’s nomination is understood by some Serbs as an unforgettable self-inflicted humiliation to the highest degree and even an outright capitulation to the (failing) neoliberal world order. Comparatively, however, Poland’s government is still much more pro-American than Serbia’s, though this too becomes a matter of moral subjectivity when considering that Belgrade is a lot closer to the EU. From the multipolar perspective, both are undesirable, but Trump’s America is championing conservative values at home (though not necessarily abroad, as Macedonia proves), while the EU is forcing its underlings to submit to neoliberal ones just like Serbia did. If one had to choose, the socio-cultural positions being promoted by Poland are more attractive than those being forced upon Serbia. All in all, this thought exercise isn’t meant in any way whatsoever to justify or whitewash either country’s (especially Poland’s) relationship to the unipolar forces of NATO, the US, and the EU, nor to attack Brnabic’s personal affairs or infer anything negative about the nationwide constituency which she’s slated to represent, but just to demonstrate the increasing complexity of International Relations in the present time and show how difficult it is for observers to “support” one actor or another entirely. There’s no such thing as a “perfect government” or “perfect politician”, and there will always be elements in both which clash with one’s principles, but the important thing is to differentiate between the state and the citizenry, and never judge either of them based on the other. That being said, while the vast majority of sincere anti-imperialists in the Alt-Media Community will always stand with the Serbian people and respect their government’s nominal non-alignment in military affairs, there’s an unmistakable tendency to distance themselves from its present government because of the embarrassment that it’s become and to instead recognize the defense of socio-cultural values undertaken by Poland’s, however unexpected that may sound at first. This doesn’t mean that such individuals “support” PiS in the conventional sense of the word, but just that they are gaining more respect for its principled position against the illegal immigration of civilizationally dissimilar individuals and Brussels’ neoliberal “values”, though of course consistently condemning Warsaw’s frontline position in NATO, Polish society’s widespread Russophobia, and the government’s short-sighted policy towards Ukrainian migration. Therefore, what it ultimately comes down to then is whether an individual feels more strongly about a given country’s/government’s role in NATO or its position on socio-cultural values and the Immigrant Crisis. If it’s the former, then Serbia and its authorities are rightly heralded as having a much milder position than Poland’s, though if it’s the latter, then Warsaw is regarded as progressive whereas Belgrade is perceived as rapidly moving down the path of regression.